If there's a way to a carnivore's heart, it's probably through a big juicy steak, grilled to perfection, marinating in juices, practically begging to be eaten. A great steak can be the stuff of legend, a taste you won't soon forget, and the perfect accompaniment to a hot date and big glass of wine. 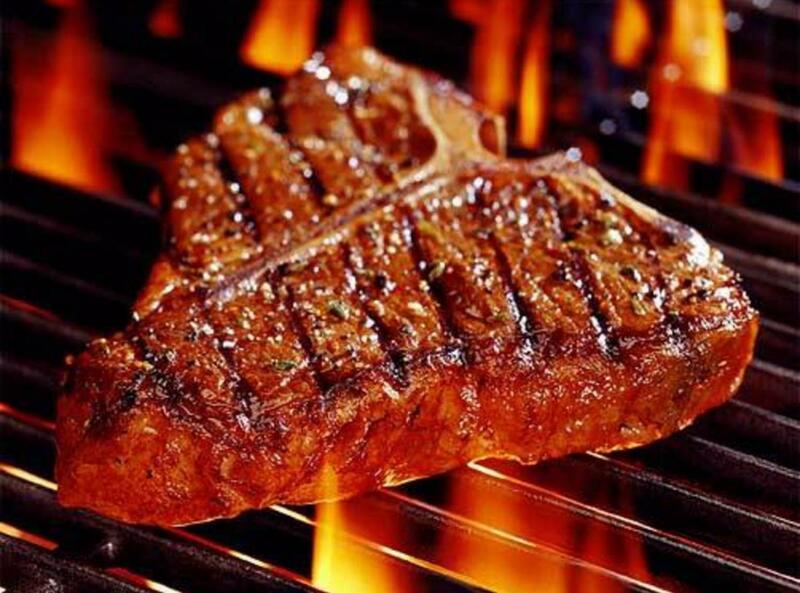 Here's a short list of our favorite steak houses in Tampa. Bern's - A best steak house list would just be a travesty without Berns. Opened in 1965 and instantly becoming an upscale Tampa institution, Bern's serves up artfully aged and crafted steaks in a beautiful, vintage atmosphere perfect for the classic night out. Bern's also boasts one of the most extensive wine collections in the world with over 6,500 wines housed in their cellar and an opulent desert room perfect for after-dinner sweets. Charley's - Charley's is another world-class, award-winning steak house in Tampa. If you've ever driven down I-275, you probably recognize their neon-lighted sign adorned with flames and their name. If not, you probably recognize a great steak when you taste one and Charley's will happily oblige. Using only the finest USDA prime cuts, Charley's ages their steaks for four to six weeks before flame-broiling them over over oak and orange woods in a pit. Capital Grille - If you want a luxury steak house vibe with your favorite cut there are not many places in Tampa better than Capital Grille. Given the "Achievement of Excellence Award" by the American Culinary Federation, Capital Grille boasts dry-aged steaks, a 5,000+ bottle wine collection, and much more. Enjoy one of the best burgers you've probably had at lunch or chow down on a magnificent, dry-aged porterhouse for dinner. Texas de Brazil - This just might just be the most unique steak house on this list. An authentic Brazilian Churrascaria (Portuguese for "barbecue"), it's is a dining experience filled with 14-different cuts of meat served up by gaucho chefs. Iavarone's - Iavarone's is best described as a "classic steak house with an Italian flare." From ribeyes to porterhouse, Iavarone's serves up only the finest, aged USDA prime steaks perfect for any steak lover. Enjoy surf and turf with an 8-ounce lobster tail and 7-ounce filet mignon, a 16-ounce porterhouse or split the decadent chateaubriand for two. Council Oak Steaks & Seafood ￼Innovative and sophisticated, you find this fine-dining experience inside Seminole Hard Rock Hotel & Casino, Tampa. Expect 100% U.S.D.A. prime, 21-28 day dry-aged beef from their very own butcher shop, seafood from local waters, and live Maine lobster from custom-made saltwater tanks. While there visit the Council Oak Lounge for live entertainment and cocktails from expert mixologists. Council Oak offers an award-winning wine selection, featuring unique and hard-to-find wines and out-of-this-world desserts including their superb Praline Soufflé and famous Council Oak 151 Volcano, flambéed tableside. Del Frisco's Grille | Tampa Modern, inviting, stylish and fun, Del Frisco's Grille raises the bar drawing inspiration from bold flavors and market-fresh ingredients. Using local ingredients, they create easy to share classics like Oven-Baked Flatbreads, Cheesesteak Egg Rolls, and Ahi Tacos for starters alongside a selection of prime steaks, hearty salads and more. Fleming's Steakhouse Located across from International Plaza and Bay Street this upscale steak house in Tampa offers a variety of grilled steaks, seafood, and an extensive wine list. The perfect place to meet after work for a drink they list 100 wines by the glass, including 30 local selections made by their resident Wine Manager. Stay to enjoy an exceptional selection of hand-cut USDA Prime steaks and more from Fleming's extensive steak house menu. Malio's Prime Steakhouse The original Malio's Steakhouse opened in 1969 in South Tampa, moving to its present location in Downtown Tampa where generations of the Iavarone family, whose immigrant parents owned and operated their restaurant since 1945 strive to provide the finest dining experience possible. Malio's serves exceptional high-quality food, with superior service. It is in that tradition that Malio's Prime Steakhouse offers USDA Prime Beef and the freshest seafood available including coldwater lobster tails. Malio's also houses a selection of over 200 wines. Ocean Prime Immerse your senses in a classy and intimate atmosphere where attentive staff invites you to experience a night, or lunch, of pampered fine dining. Look for nightly specials and chef selections accompanying their menu which includes seafood and prime cuts of steak, signature cocktails, and a Wine Spectator-honored wine list. Ruth's Chris Steak House Get the best steak house experience in Tampa at Ruth’s Chris Steak House in the Westshore District. Service is complete with Ruth's signature 500° sizzling plates and award-winning wine list. Be it a romantic dinner, a business meeting, a private party or just a drink at the bar with tapas this iconic steak house in Tampa delivers superior service and an unforgettable dining experience. Shula's Steak House Miami coach Don Shula opened his first steak house in 1989, and today operates a family of fine restaurant brands with nearly 30 locations throughout the country. Shula’s delivers consistently high-quality cuisine paired with an award-winning wine list and craft cocktails served by expert staff. Serving premium Black Angus Beef, the steaks are flavorful, juicy and tender. Stonewood Grill & Tavern Brandon This casual, yet contemporary establishment serves American Style cuisine including steaks, seafood, and pasta with an accompanying wine list and more many of the meals at Stonewood are prepared over an oak-burning grill for a one of a kind flavor. Eddie V's Prime Seafood is another example of a seafood house doing steaks to perfection. We heartily recommend the Steak and Lobster tartare. Truffled Steak Tartare and Chilled Fresh Maine Lobster with Toasted Baguette and the 16 oz USDA Prime NY Strip Au Poivre with a Cognac Sauce. Steak lovers know there is nothing like a great steak! And lucky for carnivores, Tampa Bay boasts a great line-up of unforgettable top shelf steak houses. Steak lovers, like wine lovers, are rabid about their favorites and open to trying new options. Steak lovers know how to pair a bold blend or the perfect Cab for the best experience. And if you don't, no worries, the staff at each of the restaurants in Tampa we listed above are happy to assist you! Check out this complete list of Steak Houses in Tampa and register on 813area to stay connected to everything local. It's free!